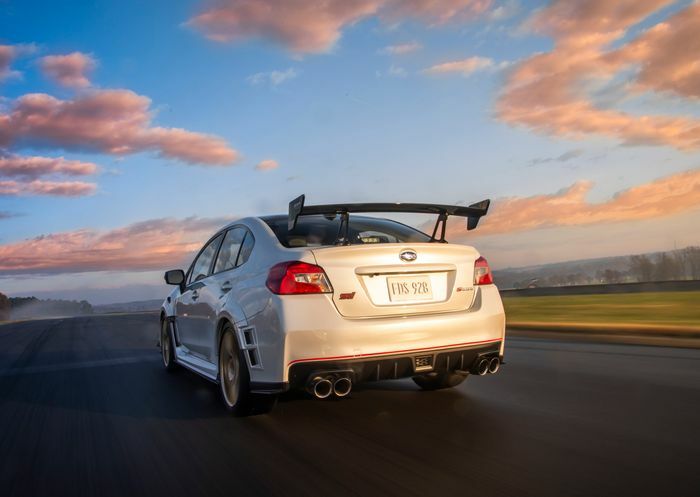 This is the Subaru STI S209, and it’s way more than just a number. This 200-car special edition built exclusively for the US is 100 per cent beefcake. We already know just how devastatingly the standard car deploys its muscle, weaponising a ‘mere’ 296bhp to make the car feel vastly faster and more capable than you’d think. The S209 ups the ante to 341bhp via a larger STI-designed turbo built by HKS. Higher peak boost pressure helps, too; 18psi is the figure – up from 16.2psi. The EJ25 2.5-litre flat-four uses forged pistons and con-rods that add strength and subtract excess flab. All this bumps mid-range torque handsomely, with a 10 per cent increase at 3600rpm. There are limited-slip differentials at both ends of the symmetrical all-wheel drive system, plus of course the DCCD (Driver-Controlled Centre Differential) that allows you to send more power forwards or backwards. Corner-exit traction? You won’t find better. Six closely-spaced gears sit inside a manual transmission. 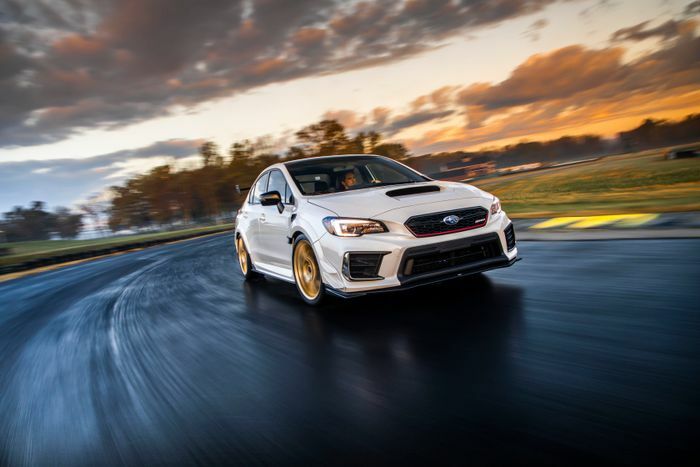 A high-flow intake system is an upgrade from the WRX STI and – Impreza geeks on standby – the intercooler water spray system from the 2004-07 car makes a return. 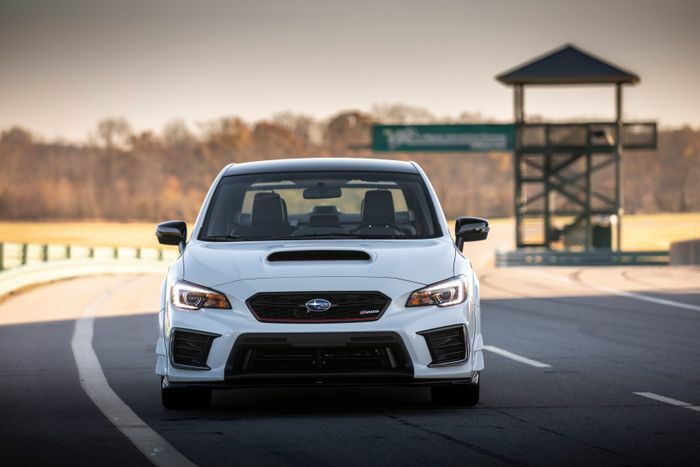 There’s a high-flow fuel pump, larger injectors and an STI-fettled ECU. 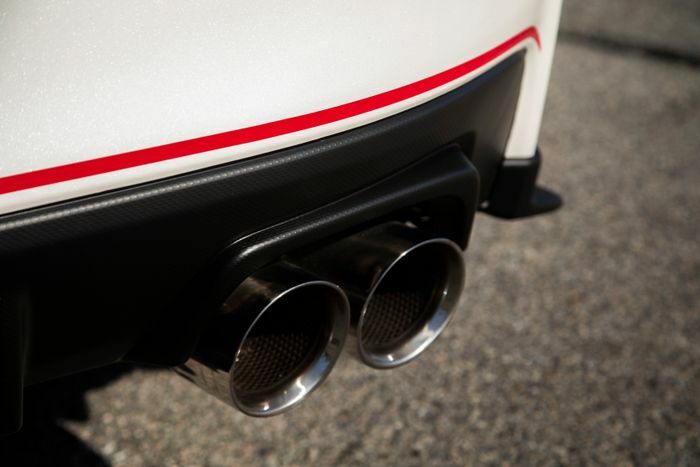 Out back there’s a performance silencer that reduces air-flow resistance by 17 per cent, followed by fist-test-friendly 101mm exhaust tips. If you’re thinking it looks wider than the standard car you’d be right. The S209’s meaty, flared arches add 43mm to the overall width and house wider tracks and fatter tyres – 265/35/19 SP Sport Maxx GT600A items developed specifically for the car by Dunlop. These phenomenal grip merchants will allow the S209 to post lateral g-forces above 1G. Deeply impressive. Bilstein dampers and stiffer springs keep things tight on track. There are numerous body-stiffening measures out of sight, including a 20mm rear anti-roll bar, as well as a flexible tower bar to allow for lateral stiffness but also vertical movement, helping ride quality on the road. 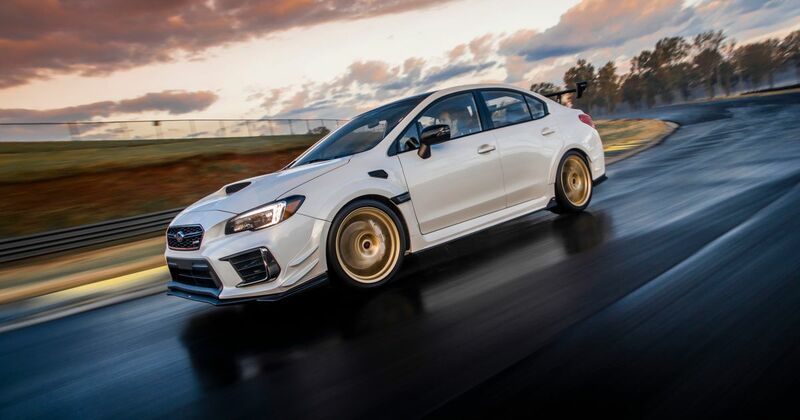 The brakes were hardly going to be left alone, so STI has sourced a Brembo setup with cross-drilled steel rotors gripped by six-piston calipers at the front and two-piston blocks at the back. All are a monoblock design and all come with high-friction, fade-resisting brake pads. We want one, you probably want one, and unfortunately few of us will be able to buy one. Subaru says it’s planning ‘around 200,’ which may be allowing for a reduced production run if sales are slower than hoped. Prices will be released later in the year. Tell your wallet to expect punishment.